Unilever has a reputation of coming up with intriguing brand innovations to further the brand equity of the myriad brands under their umbrella, be it Wall’s, Surf or Lipton. However, Unilever’s latest Lipton Dip n Win contest seems to come straight out of the handbook of the Seth of a local FMCG. That’s because no thought seems to have gone into the planning of the campaign. Just put up a number of lucrative prizes, promote them like crazy through the media, and lo and behold! You’ve got a great marketing campaign. Whether that works to create any long-term impact and adds value to the equity of the brand is highly disputed. That’s because when you’re running a nationwide theme like Lipton Dip n Win, and your grand prize is Honda Civic worth more than Rs.2 million, you will have less budget for the other prizes. What all this means is that while the whole nation would get to know about your prize scheme via the aggressive media campaign raising people’s expectations, the actual number of winners will be less resulting in backlash by the millions of consumers who won’t get to win any prizes from Lipton. And that backlash would be more intense because people consume tea at least twice a day and if they get 2-3 failed attempts every single day for three months constantly with Lipton adding salt to injury by putting up billboards showing the winners and bragging about how many people are dipping vainly to win, you can well imagine how pissed off the average consumer would be. But let’s put all our theories aside and take the case of a real-life example to understand the impact of this promotional tactic on a consumer. Just look at the above visual closely. ‘TRY AGAIN’. This is the image I’m treated to day after day courtesy Lipton. I take tea in my office on an average three times a day and we use Lipton teabags. My house coincidentally uses Lipton bags as well and our daily consumption is on an average 6 teabags per day. The prize scheme has been running at least for the last two months if not more so and we’ve yet to strike even a speck of gold dust, let alone the whole pot. 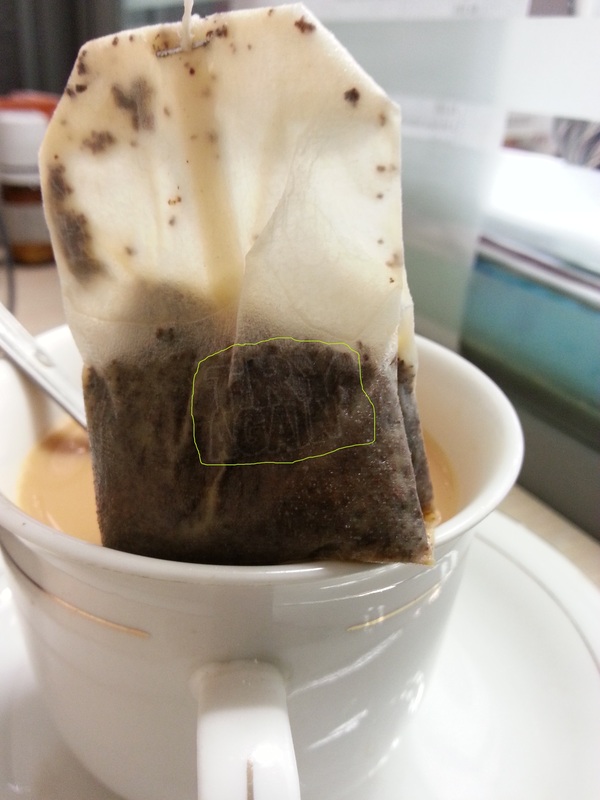 So 9 teabags per day X 60 days equals more or less 540 teabags with the dreaded ‘TRY AGAIN’ imprinted on them. And I haven’t even gone through the ‘failed’ attempts of my office colleagues. In short, what we’re looking at are roughly 2000 empty teabags. As a consumer I’m genuinely pissed off and my line of thinking is going the same way as any other irate consumer, that the Lipton management deliberately tinkers with the prizes so that only their relatives win them and just to be sure that no one suspects of them of foul play, they’ll make sure they’re distant relatives living in as far flung places as Lala Moosa and Burewala. What’s more, the mercury shoots up further when I see the new billboards they’ve put up to brag about how many teabags they’ve served since the launch of the prize scheme. As a marketer I’m tempted to try this hackneyed tactic ignoring my own agitation as just a one-off case but still concerned about the backfire effect. Here, my line of thinking is more of a herd mentality, that if a top dog like Unilever’s Lipton is spending oodles of moolah on a mere prize scheme, surely they must be minting money out of this tactic. A big brand like Lipton wouldn’t lessen their brand equity knowingly just to sell a few more teabags. They must know something that I don’t. Do promotional prize schemes really work in changing loyalties or consumption patterns in this part of the world? My family’s consumption pattern has remained the same. Same goes for my office. What this scheme has only managed to do is give us a sense of losing every day. What do you think has Lipton achieved through this campaign apart from giving the brand manager a green star on her CV and her ticket to switch to the next company? Is it better to give a few dazzling prizes or lots of non-dazzlers? 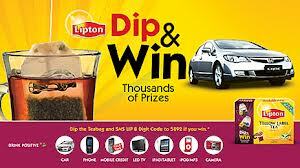 Would Lipton have fared better if they kept 18 iPhone 5s or 36 S3s up for grabs instead of one Honda Civic? Do you know anyone who has actually managed to win a grand prize that these brands offer be it Lipton, Tapal, Ufone or Pepsi? Or are these just a sham to induce trial? I for one don’t know a single person. To me, if Unilever really were pressed on by the ‘higher’ authorities to run a promotional campaign for Lipton, as Unilever is so famous for, they should have put prizes in the complete pack instead of individual teabags. That way, someone who drinks as many as 5 cups of tea a day won’t be reminded about his sour luck five times a day, and as the adage goes about shooting the Messenger, Unilever’s Lipton do not get shot down for delivering the bad news day in and day out.